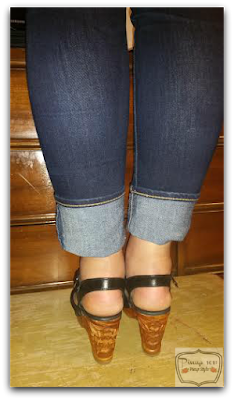 I've been gushing for several posts about my new Lucky Lou shoes. It's high time I did a review! 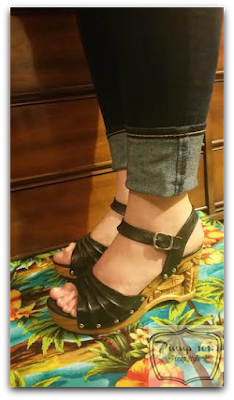 As far as a reproduction item, these shoes are authentically made just as the originals by a family of shoe carvers in the Philippines. It's almost like new, vintage. Shoes arrive packaged in a Lucky Lou box and neatly tucked into a drawstring bag. I love the drawstring bag - it's great for traveling with your Lucky Lou's. Makes packing a breeze! Solid wood platforms with a tiki hut carved through the heel. Sturdy, yet stylish! I love that you can see through the shoe. Leather ankle straps but you can get ankle strap-less as well. Rubber soles on the bottoms of the shoe keep you stable. 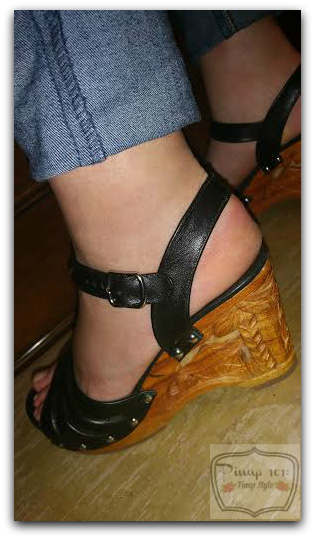 Wedge heel height of 3"
After about three wearings, my shoes were broken in and I only experienced foot fatigue once during the process. The shoes are lighter than you would expect - it's like walking on air! Ankle straps are adjustable with the tongue piece on a piece of elastic for extra pull as you tighten to your needs. I love wearing these shoes. 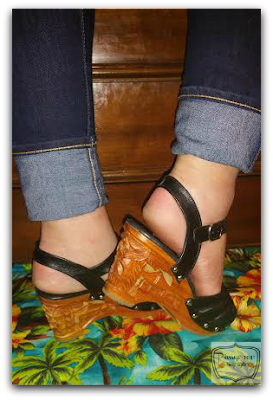 If there's the opportunity to wear my tiki shoes - they are on my feet. What do you love about Lucky Lou shoes? Let me know in the comments!